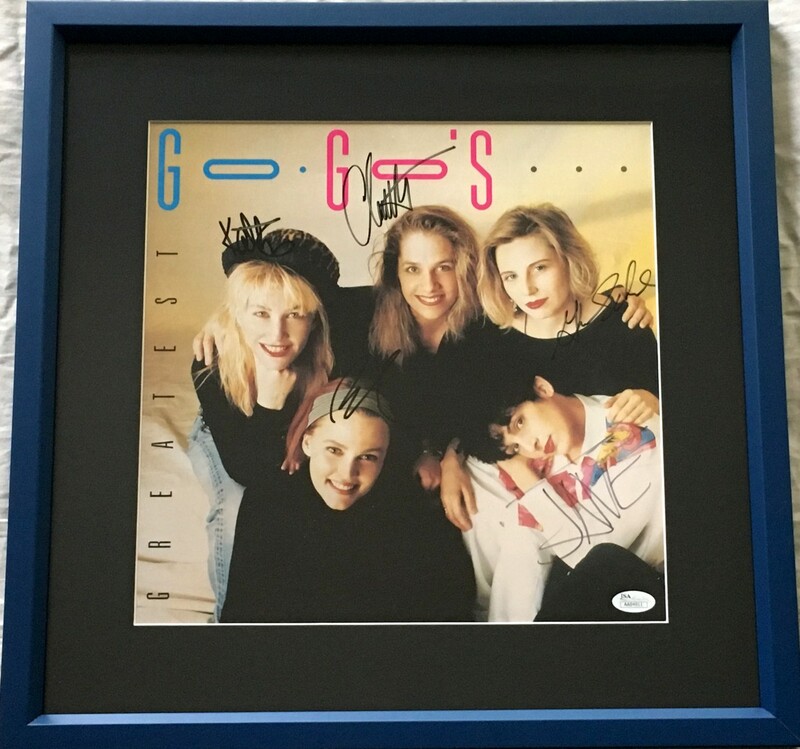 Go-Go's Greatest record album promotional flat autographed in black Sharpie by ALL FIVE BAND MEMBERS (Charlotte Caffey, Belinda Carlisle, Gina Schock, Kathy Valentine and Jane Wiedlin), professionally matted in black and framed with glass in blue wood, ready to hang. Framed size is 18 inches square. 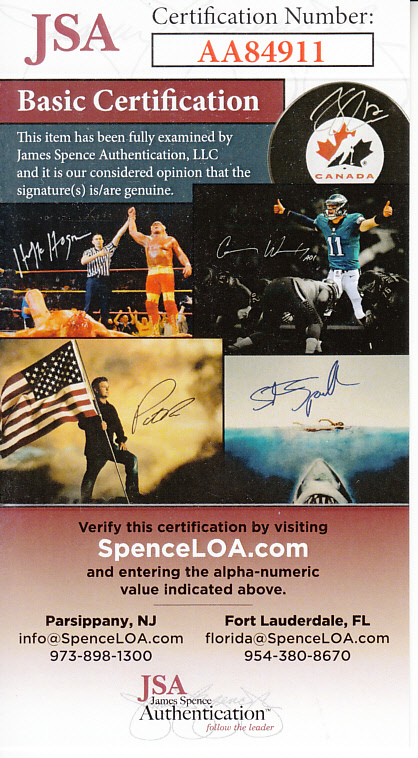 Authenticated by JSA, with their matching numbered sticker on the flat and certificate of authenticity card. ONLY ONE AVAILABLE FOR SALE.